There's no such thing as a match made in Heaven... right? Aurora Vincent is on the run. Her whole family was slaughtered by demons, and now they're after her -- to literally steal her soul. But she's not about to live in fear... Aurora isn't going to let them get away with their crimes. Hell no. Instead, she swears vengeance and goes demon hunting, and vows not to let anything get in her way. Not even brooding, honor-bound Ezra. 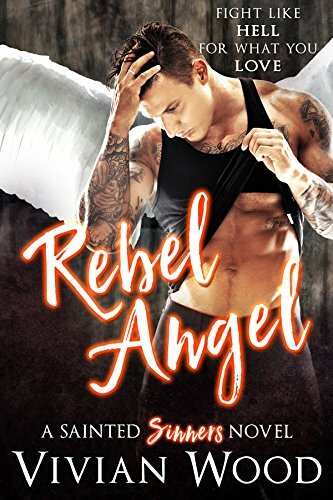 He's more than just a fallen angel - he's Aurora's official guardian - but there are rules about this kind of thing. Rules that he's more than willing to break after one look at the gorgeous, fiery redhead. He agrees to help her get revenge for the deaths of her mother and brother, with one condition: she has to let him keep her safe along the way. Hunted by angels and demons alike, Aurora and Ezra have to fight. Not just for their lives, but for the destiny of humankind... and for each other. To win the heart on an angel, you have to fight like hell for what you love.